We often set resolutions and goals that are more about what others say we should do and less about who we are. In this four-part series, Pastor Novotny challenges you with these questions: What if your goals were based on the person God created you to be? What if you stopped comparing yourself to others and started focusing on the unique person you are? What if you stopped trying to be "well rounded," stopped trying to compete, stopped feeling guilty for the gifts you don't have, and allowed the Holy Spirit to assemble you and others in Christ? You may request additional copies for a one-time gift of $12.00 per copy. 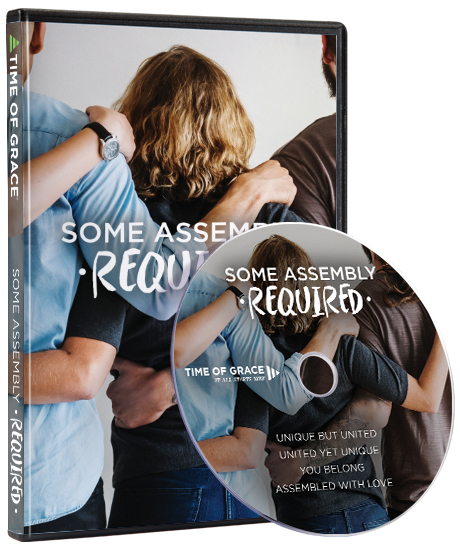 Successfully added Some Assembly Required CD Series to your cart.